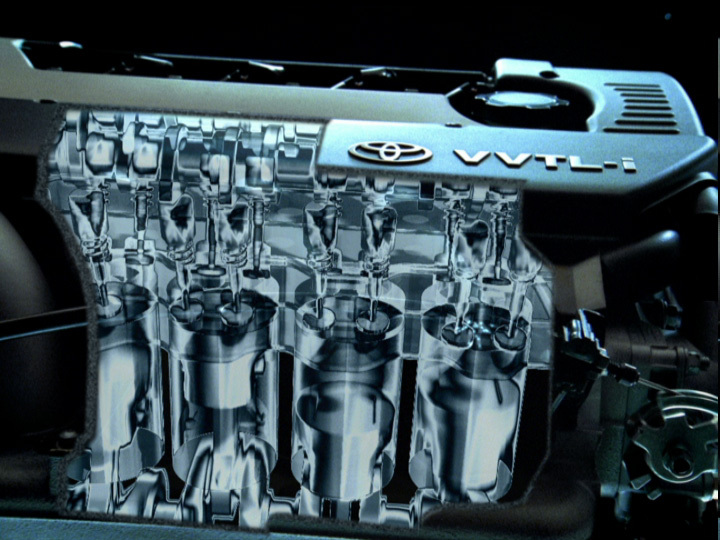 This spot involved creating a fully working animated engine which would be composited as a cross-section view of the car’s internal workings. This was actually really challenging, since I know as much about engines as I know about Quantum physics. (That would be ‘not much.’) Therefore, extensive research into the workings of it, had to be undergone, and then the model had to be accurately constructed off of reference photographs and blueprints. Once this was done, each moving piece of the model was then hooked up to another using mathematical expressions, which were all in turn, linked up to a virtual RPM dial. As the dial was rotated, each piece would move accordingly in reference to one another. This worked beautifully since it allowed me to control the acceleration and deceleration of the entire engine, using one simple function curve. Tracking became a problem with this job since we didn’t have any 3D tracking software, and I had to do it manually. This was fine on NTSC, but when we realized that it would also be played on cinema, many previously hidden tracking glitches suddenly became very apparent. The footage had to go back to the shop where the tracking was further adjusted within Inferno until it was suitable for cinema playback. 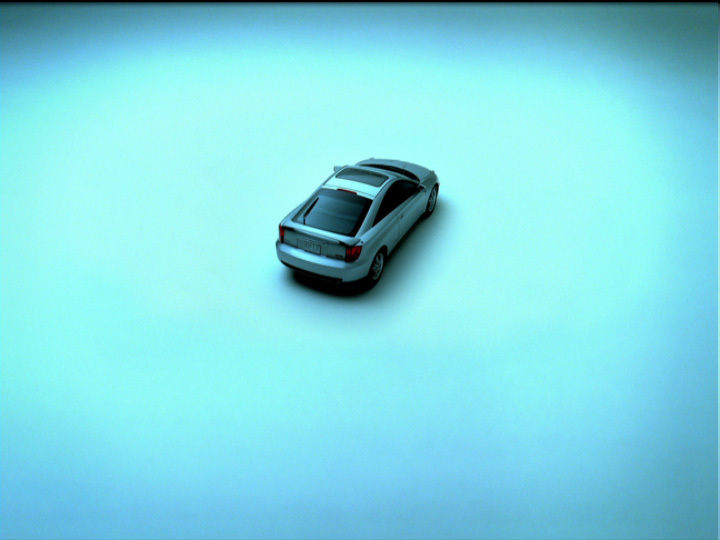 This spot was modeled and animated with Softimage, rendered with Mental Ray. It was composited using Discreet’s Inferno. Animated by Richard Rosenman and Chris Johnson. Produced at Topix Animation Studios.